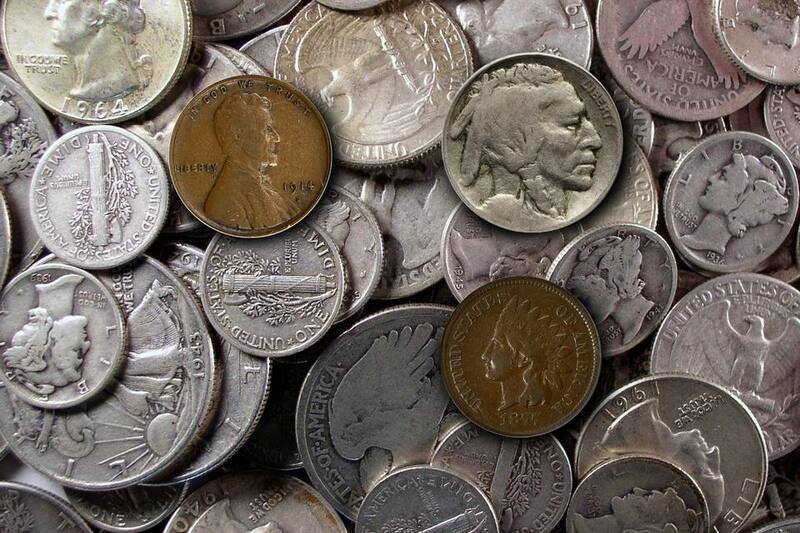 When it comes to coin grading, circulated coins are easier to grade than uncirculated coins. This usually works out well because beginning coin collectors usually start collecting circulated coins instead of uncirculated coins. As you advance in your coin collecting skills, you will want to learn how to grade all of the coin series that you collect. The grade that a circulated coin receives depends upon several factors as described below. However, the grading process is not scientific and is subjective to the interpretation of the person that is looking at the coin. In other words, if we could define each coin grade using some sort of scientific measurement, we could program a computer to grade all of our coins. Since there are so many factors involved in grading a coin, some people will value one aspect of a coin's grade more important than another. Unfortunately, what one person may view as a "very good" coin, another person may only consider "good." The major factor that determines the grade of a coin is the amount of wear that the coin has received when circulating in commerce. The more wear and tear that a coin has received, the less desirable it is to coin collectors. Additionally, a coin may be damaged in circulation. Damage can range from small hairline scratches to moderate nicks and dings to deep gouges and heavy scratches. How a coin wears depends upon its size and individual design. Small coins are lighter and possess a smaller surface area that is exposed to the damaging effects of circulation. Larger coins such as silver dollars, have a larger surface area and are heavier and tend to possess more nicks and scratches from circulation. If a coin's design also includes a high and deep rim around the edge of the coin, this can act as a shield to protect the coins designed during circulation. Incuse, or sunken, design elements will be the last to wear off of a coin and are usually visible even on coins that grade poor or fair. Eye appeal is one of the most subjective categories in grading coins. The old adage of, "Beauty is in the eye of the beholder," definitely applies to this area of coin grading. However, most coin collectors and coin dealers agree that there are certain factors that detract from the eye appeal of a coin and other factors that enhance the eye appeal of a coin. Every type of coin has specific coin grading definitions. For example, a Washington quarter has different grading standards than a Morgan dollar. Here is a list of standard circulated grades with common descriptions that can be applied to all coins. How Are Morgan Dollars Graded? How Does the Sheldon Scale of Coin Grading Work? What Are the Official Definitions for Mint State Coins?